The last few times we wrote housing reports for Camelot Park, we advised that home sales were quite active in 2015. Well, almost all of them have been sold. We can now report that the number of homes sold this year has surpassed all years of the housing market expansion and we have to go back to 2002 to find a year with more homes sold. Camelot Park is a popular destination in downtown Tallahassee because it is walking distance to some of the best shopping in Tallahassee. It is also located within a mile of both the Capitol Building and Tom Brown Park, and it is a stone's throw away from the Capital City Amphitheater. These downtown Tallahassee hot spots have helped Camelot Park see home sales recover at a rapid rate. If you own a home in Camelot Park and would like to move, now is a great time (just drop me a note and we'll have you on the market in no-time flat) to take advantage of the highest demand we've seen for your neighborhood since 2002. In this report, we have produced an analysis of home prices, home values, and home sizes in Camelot Park. Additionally, you can view the current listings in the Tallahassee MLS and all closed home sales in Camelot Park going back to 1991. Camelot Park home prices are still incredibly affordable. The average recorded sales price in 2015 through the first week of December has been $149,000, which not surprisingly is a few percent higher than we reported just three months ago. 24 homes have already sold and closed in Camelot Park this year, equaling a 13 year high. 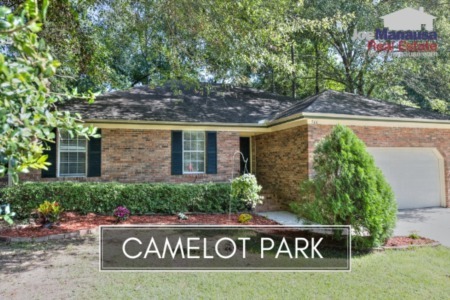 If all Tallahassee neighborhoods were selling like Camelot Park, the housing market recovery would be much further along. Average home values in Camelot Park have recovered and moved 3% higher this year, though they remain just 4% off the bottom of the market established in 2011. This means that buyers are stealing these homes right now. In fact, the townhouse neighborhood next door (Richview Park) used to have 2 bedroom townhouses selling at higher prices than Camelot is offering right now. If you want to get into town, don't let these great values get away. Through early December 2015, the average value of a home sold in Camelot Park has been $96 per square foot (bringing this year's average value up 2% in just the past 3 months!). The average size of a home sold in Camelot Park typically falls in a range of 1,500 square feet to 1,700 square feet, and 2015 is not any different. The 24 Camelot Park home sales in 2015 have an average size of 1,566 square feet. Unlike most real estate websites that have old and dated listing information, we provide Tallahassee MLS listings and update them every 15 minutes! 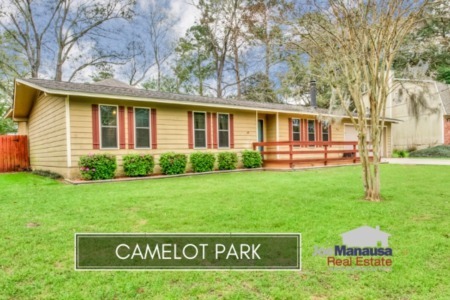 The following list of homes are all of the listings in Camelot Park. The following list shows home sales in Camelot Park going back to 1991. I hope you enjoyed our December 2015 update on home sales in Camelot Park, please feel free to drop me a note if you have questions not covered in this report. If you think we cover more in-depth information about Tallahassee and its most popular neighborhoods than any other of real estate website, please be sure to share us with your friends!